How to Easily Unlink iPhone/iPad from Old Apple ID? The Apple ID is the email address you added to your iOS device when setting it up. 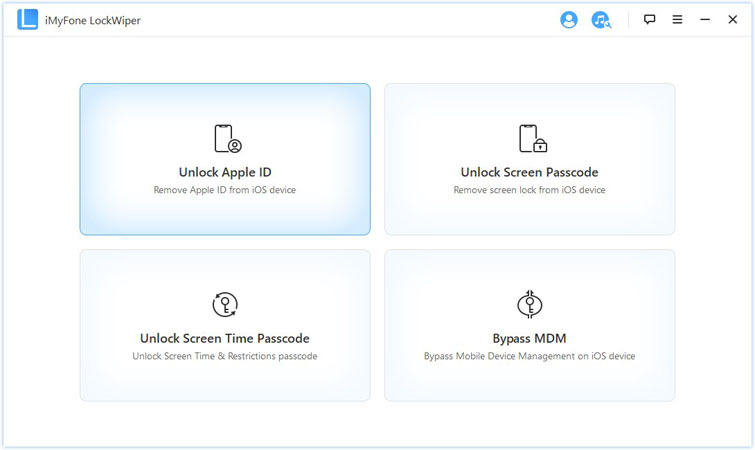 It allows you to access Apple Services and App Store features, and your iPhone should remember it every time you log in to App Store but may request for your password for security purposes. But what if you forgot the password for your Apple ID password? Oops, you won’t be able to download or update apps, you can access your iCloud service, etc. Terrible! Luckily, there is a sure way to unlink iPhone from Apple ID without password. You don’t have to worry that. 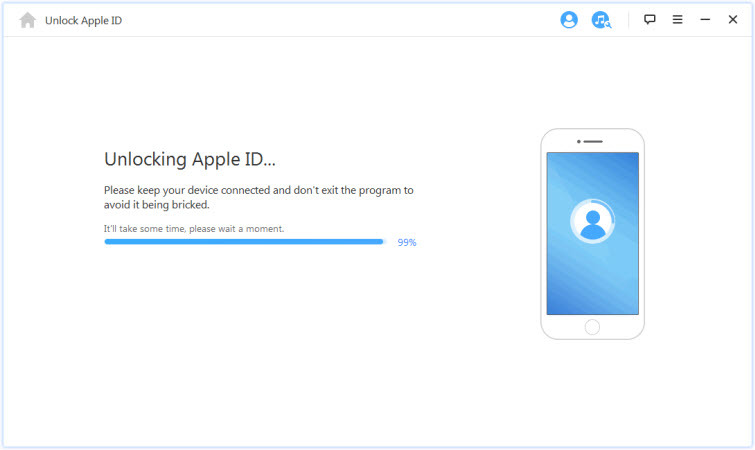 Unlinking an iPhone from an unknown Apple ID or iCloud account is not very simple. Most times, Apple would request for the password of the iCloud account before unlinking it. When you forgot the password for Apple ID, you can unlink your iPhone with iMyFone LockWiper. It’s an iPhone unlocker specifically developed to remove various lock, like Apple ID lock or screen lock. Though LockWiper does the professional things, it just requires you to operate a few clicks. It’s very easy to use and takes about 5 minutes. Step 1. Download, install and launch iMyFone LockWiper on your computer, and connect your iPhone/iPad to the computer using a USB cable. Step 2. Select "Unlock Apple ID" mode from the Home interface to unlink your iPhone from Apple ID that’s presently associated to the device. Step 3. Click “Start to Unlock” and LockWiper will immediately start to unlock your device in a few seconds. 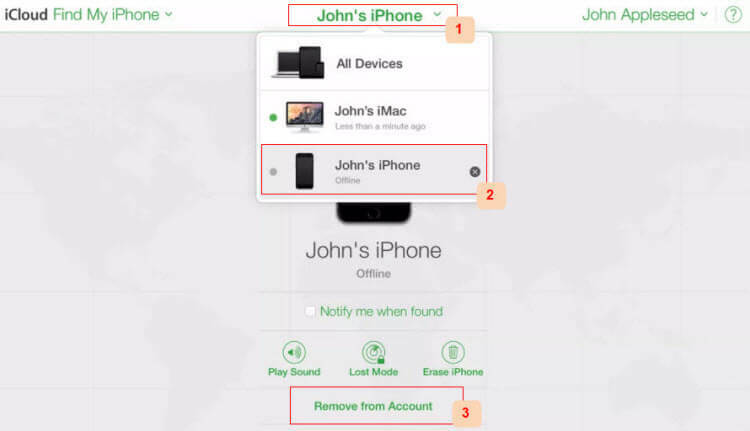 Note: If Find My iPhone is enabled, you will need to reset all settings on your device: go to “Settings > General > Reset All Settings”. LockWiper will start unlinking when your device restarts. Step 1: On your iPhone or iPad, go to Settings app and tap the name there. Step 2: Scroll down and tap Sign out. Step 3: Enter your Apple ID password and click Turn Off. Step 4: Turn on the data that you want to keep a copy of on your iPhone. Step 5: Tap Sign Out and then confirm it. When it’s done, your iPhone won’t be linked to that Apple ID any more. Except those 2 ways, you can also unlink iPhone remotely. That means you can unlink the device on other device or even on computer. But you should know the Apple ID and password first and your iPhone should connect to internet. Step 1. On your other device or computer, open a web browser and go to www.icloud.com, enter the Apple ID and password that is linked to your iPhone. Step 2. Click on “Find iPhone” option. Step 3. Click on “All Devices” and select the iPhone you want to unlink. Step 4. Select “Remove from Account” and enter the passcode to your iCloud account. 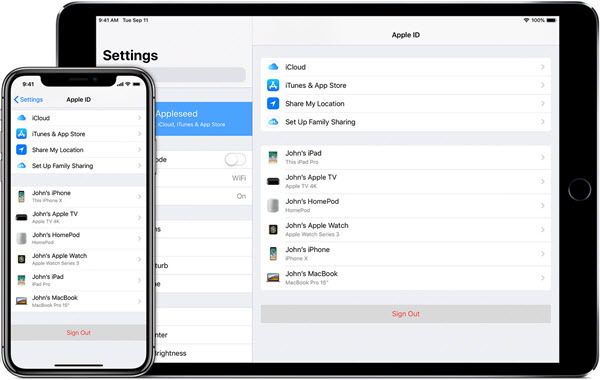 If the device is online, the remote erasure will begin, and in the end, you can set up your device with a new Apple ID and password. We’ve discussed three solutions to unlink an iPhone from Apple ID. If you have the password, two ways are available for you to choose. But if you forgot the password, using iMyFone LockWiper to unlink iPhone from Apple ID is your only choice.